The black sweaters you should buy on Black Friday to stay warm all winter. Black sweaters are another unsung hero of the wardrobe. There’s something about wool and fur and cashmere and even super luxe puffy down that makes us feel as good as we are feeling warm. The black factor is always chic and goes with everything –even navy (one of our favorite combinations). And I don’t need to tell you that black is the most flattering of colors. 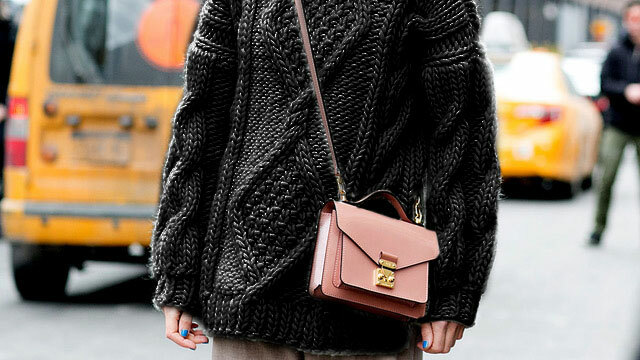 The sweater is the great equalizer – you can wear it with skirts, with jeans, with pants, over a dress. You can dress it up or down. Baggy or tight, cropped or long, there’s a sweater for every look you possibly want to execute. Right now, sweaters are having a bit of a moment. The turtleneck is everywhere. Oversized, slouchy cashmere paired with structured silhouette is still here, although Phoebe Philo and the Old Celine is gone. We are sweater girls, we were raised on them and some of us even pine for those old itchy mohair and alpacas that we cherished. It’s probably true that we’ll never have enough sweaters and we definitely can’t have enough black ones…even in the summer, when it’s not chilly and always with white jeans.